Although on the surface this Ontario winter appears to be never ending there are signs of spring if you only look. The search for signs is a fairly nuanced activity in this part of the world where “winter” seems to span 3/4 of the year. In the way that when standing on land it is easy to forget that 70% of the planet is covered in water, when you are in an Ontario summer it is easy to forget that 3/4 of the year is winter. Okay, I exaggerate, winterish. So what do we have? There are the expanses of property that have emerged from beneath the snow, as strangely monochrome, flattened and debris strewn as a seafloor. There are the tips of some undaunted bulbs pushing through the soil. There’s a fair amount of windblown garbage and a noticeable increase in the number of slightly podgy dogs being walked. I expect that within two weeks there will be a few hours of balmy, earth scented air, robins flitting and raccoons pawing at suburban garbage cans before we are blasted with temperatures befitting the sun facing side of Mercury.So it goes, and I wouldn’t want to live anywhere else. Clement Art has posted a preview of the Beautifully Strange show. PS. 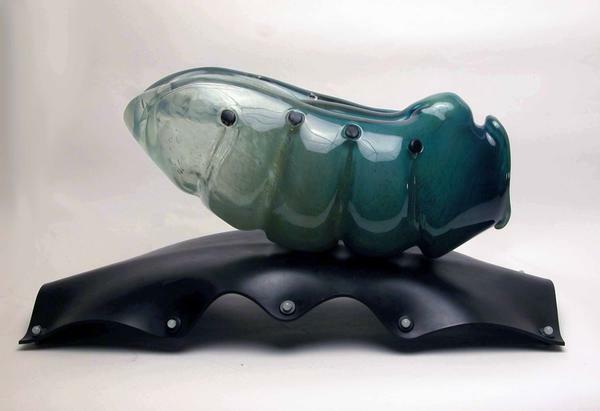 This piece, which I can’t stop looking at, is not in the show however some other equally mesmerizing works by CAL are. PPS. 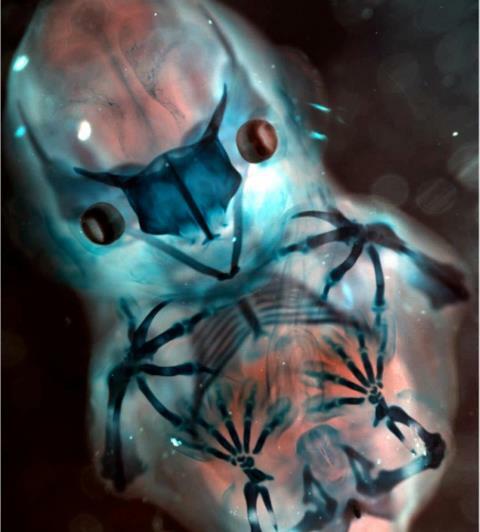 This is a photo sent to me by my friend Aaron Ptok Byard of an embryonic bat. It is an incredible image in its own right but it resonates with me on another level too. In my novel Necessary Monsters, one of the main characters is a synthetic man named Irridis. He is described as being translucent in exactly this manner. Thanks Aaron.